Hello Card and Critter and Snark Lovers! 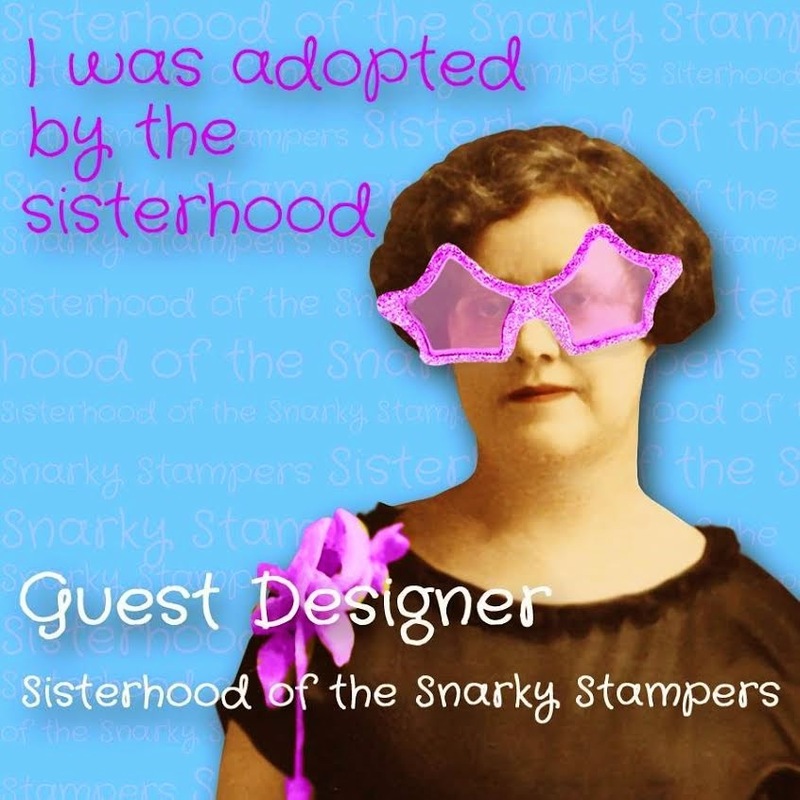 I am delirious to be here today as the Guest Designer for the Sisterhood of Snarky Stampers. Doncha just love that challenge name? Some very talented and irreverent stamper gals got together and started this fun challenge. I was awarded this gig after being declared the Queen of Snark last challenge. Yup, that's me! Notice the chocolate crown, the droopy bosooms, the ample midriff developed entirely of chocolates and kept inflated for emergencies? All mine and I must insist that you courtesy the next time you come by! A lot of you might not know that you don't HAVE to make a snarky card to play in this challenge. Not at all! Everyone is welcome as long as you follow the theme. 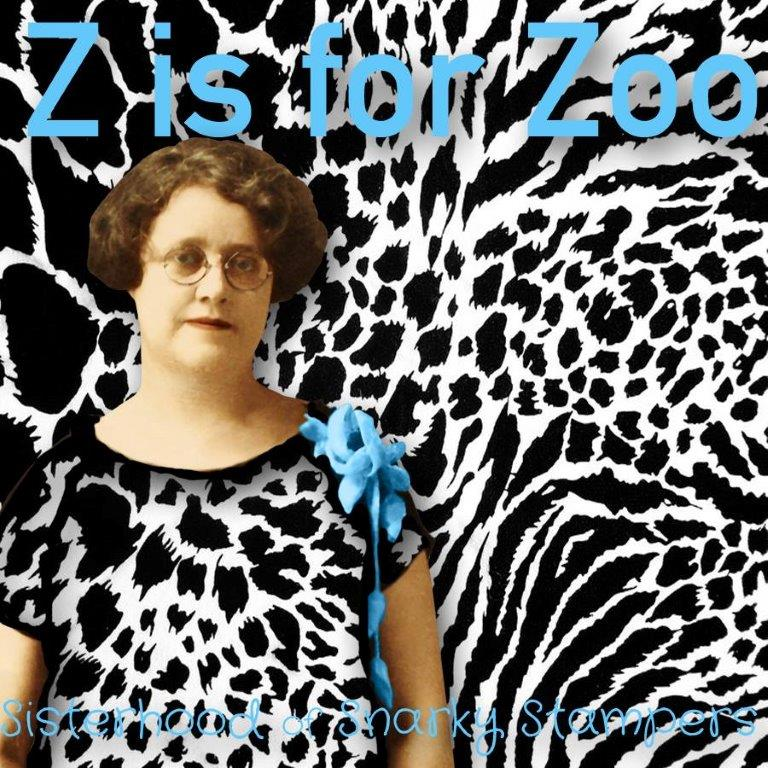 The new theme is "Z is for ZOO." And just to show you how loose-goosey the rules are, I used a domestipated dawg for my zoo critter! So there you go. Have at it! Who among us doesn't have at least one zoo or critter image or piece of critter paper in our stash? Hmm? For my card, I made two cards coz I love my doggie stamp so much. I colored the images with Marvy Tombow markers. The cute dawg and dots stamps are from Stamps by Judith. The WOOF is by Great Impressions. The glossy white mats were cut with a Li'l Inker stitched rectangle die. The papers are from my stash. "Learn a lesson from your dog. No matter what life brings you, kick some grass over that crap and move on." What a profound message! It's a NBUS stamp and one of many fun sediment stamps available from Riley & Company's "Funny Bones" stamps. The bloodhound dog is an unmarked UM colored with Prismacolor pencils. 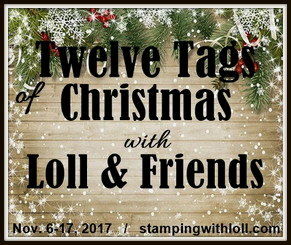 I hope you will check out the Sisterhood of Snarky Stampers and join us for this lighthearted Z is for Zoo challenge! I'm also entering my second card in the sketch challenge at STAMPlorations Bi-Weekly Challenge. 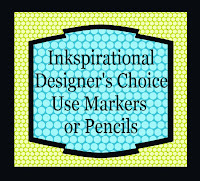 and the other one in the "Designer's Choice ~ Use Markers or Pencils" challenge at Inkspirational. The links above will give you all the details on the rules, sponsors, and prizes! Our introductions continue today with three more new friends for you to meet! I'm so grateful for each and every one! Liz of Crafty Sunflower. Liz started her blog in 2012, but she's only just added the blue "Join This Site" follow button to her side bar, so it would be great if you gave her a boost by joining as a follower! As you might have guessed, Liz loves sunflowers and for the last 13 years she has been collecting anything sunflower-related. Liz's cards are colorful, often shaped, and always impeccably made! Veerle of Veerle: Her Little Card Corner. Veerle caught the card-making bug two years ago and has been blogging since August 2013. She is an award-winning challenge participant and snippets user, so you might see her over at Pixie's Playground. Her cards are always full of life and color and she is great at explaining her process! Lesley Gillett of Lesley's Craft Room. Lesley is from the "Garden of England" section of Kent in the UK and she loves both her hobbies of gardening and crafts. 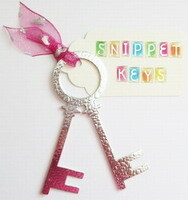 She is an Independent Stampin' Up Demonstrator and she started her blog in 2011. Lesley is also a Pixie's playmate, which is where we met. She is a very excellent and prolific card artist with a clean and sharp style that I love! It's what Duke would tell you! Here he is today, thinking it! He's been loyally keeping me company in the Playhouse while his family is on holiday in Hawaii (where last we heard, they are fine!). Hi Darnell...I just have time to play again at BLOG LAND its not easy situation at our home with MIL that she has a cancer on her brain...I am not having time to play with my papers and in my blog land but today I have I want to give you comment cause I miss you..
Oh what great advice!!! Love it and love your cards congrats on your guest spot <3 off now to check out the blogs you have featured. I hope your family continues to be fine in Hawaii, but how ironic they'd make plans to go this particular week! Yikes! Kicking grass as we speak!!! Love those cards, love the dog (can I have him?) and congrats to you oh Queen of Snark! That card is hilarious! My cat abides by that philosophy as well! That sentiment is too funny, Darnell. I will definitely use it. Your card is cute and fun. The stitched edge is very cool. I'm glad your family is ok in Hawaii. Absolutely wonderful words to live by, along with life is too short! Congrats on the guest designer gig, you've done the gals proud, I'm thinking! That is one, no, those are two wonderfully colored dawgs! I'm sure you were relieved to hear that everyone is fine in Hawaii. :) Have a great weekend! What fun cArds. I especially love the sentiment. Congrats on the guest designer spot. Fantastic cards, and I agree wholeheartedly with the sentiment.Thanks for another giggle start to my day! Both are as cute as can be! Love, love, LOVE the dog images. Congrats on the guest designer spot too! Way to go! Darling card - I knew right off that the doggie stamps were from Stamps by Judith! Awesome job coloring and both are just darling. I do really like the little bones tho! I'm courtesy-ing now can you see it? Have a great weekend you snarky little chocolate filled queen you! Now this is one FUN card - the inside made me laugh out loud! Of course I had to check out that challenge - and joined right away - such FUN! Love your doggy images and the sentiment is so true. We can learn so much from our dogs and they give their company so obligingly. Glad to hear your family are keeping safe. Enjoy the rest of your weekend your highness. EXCUSE ME! I have to go out to the yard and kick some grass up. This card, image included, is "fall down funny". Incidentally, I think the crown suits you like no other head covering could. Hi Darnell~ I just now saw your comment over at my blog. Thanks for noticing that I'm a little less active lately. Nothing special, just life in general. All is extremely well, just spending time with the grandkids and enjoying the summer. Probably in the fall I'll get back to more crafting. I have only done a couple of challenges lately. Appreciate your checking up on me. Oh, and your card is just too, too cute!!! Lots of inspiration there! *Fist pump* A courtesy courtesy - fully flaired with a gallant wave of my arm, and a bow to the floor (okay, okay...to my knees...ouch! 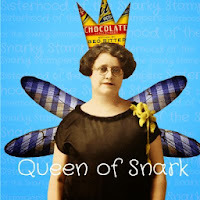 ), in homage to you, your majesty, Queen of Snarky! Your ample chocolate midriff and drooping bosoms: stop it! You're sending me to the floor again in peals of laughter! Super congrats on your GD role - and what a card you've shared to brighten our day! Your dog stamp is brilliant (as is your tip about 'paper' being adequate connection to the challenge..hahahaha) and coloured in most eye-catching fashion. The sentiment: oh yeah! I have some crap that needs a moving-on kick, for sure! As part of my visit, I'm delighted to THANK YOU for sharing with us over at ATSM! Lucky Duke to be visiting with his grandparents; bet he's getting a lot of spoiling and pampering! I adore that image:) Cards are fab. We could all learn an awful lot from dogs. Hope you are having a fun weekend. Darnell, you are an awesome Guest Designer! BTW, I am curtseying, but watch out. I might fall over...too much to drink again! ;-) The dogs, your coloring skills and the cute bones rock! The sentiment is perfect! I need to remember and fall back on it (not literally, that would be crappy)! You have used 2 of my favorite stamp designers....Judith, and if the rubber is grey on that lazy hound you used on the inside, that is Art Impressions. Congrats on being a queenie and guest designer. It gave you the royal right to use such a wonderful sentiment!!! Congrats on your GDT spot Darnell. Your cards are fabulous. I love the images and such a brilliant sentiment! A beautiful photo of the ever handsome Duke. I am pleased all is well with his family. ok, this card was too stinkin cute until I read the message. Then it was over the top! I belly laughed - looked like Santa with his big belly bouncing up and down. Thank goodness I was alone! Too cute! I've had that sentiment on my wish list for ages! 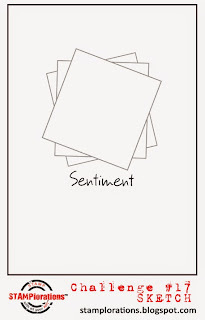 Your cards are great - love that sentiment! So glad to hear your family in Hawaii is okay. Lovin the dawgies (esp Duke). Not sure what snark is but I'm sure you'll do it well! Knowing my luck, if I kicked the grass over the crap, I'd end up treading in 5 minutes later lol! That dawg can give some gooood advice! LOVE the news your family is safe in HI,these cards, this funny post, your GD Spot and that I can't straighten up from the curtsey I just did for you, Darnell! Just love, love, love the image, stunning card inside and out. Just a brief curtsy from me today, it's the bad knees ..... well done on your GD spot!! I was not sure I understood the word 'snarky' so thank you for showing it so graphically - lol! Darnelll love your snarky doggie card, congrats on the DT gig! You rocked it! May I bend my knee to the new Queen ? Congratz Darnell, so nice for you. And your card is really fun. Love it. Congrats on your guest design spot! Your cards are adorable...and a GREAT sentiment! That Duke is something else! Love seeing pictures of him on your blog & so glad his family is OK in spite of the hurricanes! Your coloring is just amazing, Darnell--love these cute cards! I knew immediately who made that stamp--such a unique style she has. Duke got me off track so I forgot to say Congratulations!! What fun and the inside sentiment is worth 2 readings. Has Duke taken Hammie's place as your muse? He looks quite pleased to be spending time in the playhouse with you. These cards are so fun and that doggie is indeed so lovable :) congrats on being the queen And for the GD spot :) thank you for sharing with ATSM and Stamplorations ! Hello Darnell, these cards are too funny, wonderful details and love the play on words. Really you should write a book. Well, a HUGE CONGRATS for your newest title, and for your Guest DT spot, Darnell! You are so, so, so deserving of this honor! I love your cards so much, too! That 'dawgie' is too cute, and the sentiment is fabulous! You've done some beautiful coloring, too...WOW! Congratulations, Your Highness! What a perfect title! That dog on your two fabulous cards is too cute! And the lesson inside very true! As a Queen you have to impart your wisdom to us common folk and I am so very grateful! Joking aside, I hope and pray that your son and family (and everyone else in Hawaii) will be safe! Love, love, love that dawg, and his sage advice! And thanks for bringing him over to STAMPlorations! OH EM GEE I giggled all the way through - the snarky sisters do enjoy tippling, lol, and we are especially fond of commenting under the influence. I LOVE these cards - and the fantastic advice - my Abby is a champion kicker as well :) I would TOTALLY give you a courtesy curtsy but I've had enough coffee that I'm afraid it might try to make a second appearance! I'm so glad you came to hang out with the Sisterhood :) Come back any time!! LOVE LOVE LOVE these two Snarky cards Darnell. That dog image is fabulous and the sentiment is perfick. Congrats on your gig! I love this guy the inside is even cuter! Thanks for joining in at STAMPlorations Sketch! Such a true sentiment, it's a super cool card! Oh, I did courtesy sweet Queen, I'm also working hard on the chocolate bit. Can you see me trying to do my courtesy? (Just watched a recent Gunsmoke episode where Chester taught Mariette Hartley's character how to bob up and down! - so I know how). Also, I'm rather clumsy so I'll do me best. Your dawg is just plumb cute. I saw Carol L's a few blogs back. Garsh, this is one mangy dog, but I bet he's so lovable. Liked both cards. I am especially liking that little life's mantra about the poop & the grass too. Good advice. And thanks for passing it along. As usual I'm smiling as I type this...did you ever think of producing your own dishionary? Enjoy your visitor...how does Hammy like havin' comp'ny? TFS & Hugs. Have a wonderful afternoon. Brilliant cards! Love the sentiments, I actually think it's a good advice. Look at that dog's face, it sure looks like his got no concerns in life. That remote control in your previous post? Looks just like my cell phone! Have to get a new one, but can't decide on what model I want, even though I've spent 3years thinking already, lol. That is a cute doggy stamp, and the sentiment so funny. And..... actually..... great advice! I'll have to check out this snarky card link..sounds interesting! Oh fabulous cards!! Love that dog! Congrats on your GD spot too! Love, love the sentiment. The cards are adorable and so is Duke. Glad the kids ate fine. Congrats are in order Darnell! Oh, this is just too cute. Congrats on your GD spot. They may never let you get away after this. OMG, this dog is so darn cute, and the sentiment is perfect... for your card and as an attitude towards life. Congratulations Your Majesty and I hope you can see my curtsy from here! I love your doggie cards and particularly covet those little bone embellies. The wisdom from the cards should be issued to every new Mum when being discharged from hospital IMHO! Hope Dan, Rachel and the twins stay safe and are able to enjoy the rest of their holiday. Wow - these dogs of your look so real and lifelike thanks to your most excellent coloring!! So well done and the sentiment is so full of wisdom and wit!! You are a hoot and I love stopping by!! Have an amazing day!! As always you crack me up! 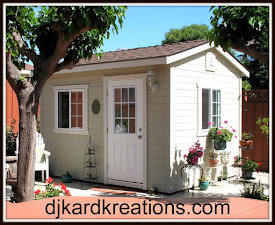 I have to stop by for some feel good humor as well as crafty inspiration. Love your doggy stamp. Those images are just the cutest! Love your cards! Thanks for sharing! Courtesy, my Lady :O), and congratulations, no surprise, you being the Challenge Queen and all. Both of your cards are fantastical, if you know what I mean :). I love the second one all askew, like he's a little tipsy. oh man I want that sentiment it is soooooo kool..... Thanks for brightening my day my dear Miss Darnell hope you have a wonderful week, ((( BIG HUGS ))).. Wonderful, wonderful cards! The coloring is fantastic, oh Snarky Queen! You are such a talented hoot! What a fabulous dog Darnell, I just LOVE the way you have coloured him to perfection, the other fella is a real a real cutie too! Dog advice is great and it has snark! Thanks for beng our queen and having some fun with us! Love the post. LOVE the bones!!! I love weaving a brilliant tie to a challenge! I need to remember that sentiment! And a dot stamp - seriously NEED to check into getting one of those! Those dag cards are fabulous. What a great sentiment too! The little bones are so cute beside that hulking big yet funny dog! Love you doggie cards. 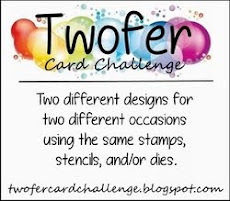 I'm hoping I can play with this challenge because I have some critters worth playing with. The trick is can I remember by the time I get home? So far the answer all week has been no. *sigh* Sometimes I miss my mind. Not often though. Hi Darnell, thank you for your kind comments on my card! I absolutely love your cards, the doggy ones are so cute and so beautifully coloured and the sentiment on the inside is just perfect. Finally getting caught up....this is just too cute and I love your amazing sentiment and your coloring is just as sweet as that cute pooch! Such a cute image! I love the coloring and those little bones are perfect! I LoVE the way you colored this adorable dog!!! Cute! Cute! And congrats for being snarky! I mean...being a guest snark! Wait!!!! You know what I mean! Greetings, Ms. Snark. (Surprised they haven't asked you to be their ring leader.) I saw this doggie over in the STAMPlorations gallery and expected to hear that Duke got a brother! OK, not. Glad to hear that Hawaii is OK too. Big hugs from MI. Congrats on your STAMPlorations win - so well deserved! I love the image you used and the colour scheme is inspired. Thank you so very much for your kind comments on my recent challenge win, I really value the comments that you leave for me you are always so encouraging.